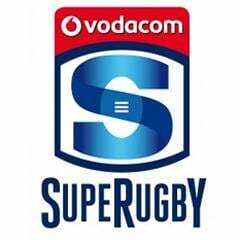 Cape Town - The Rebels heaped more misery on the struggling Reds by fighting back to grind out a 23-15 Super Rugby victory over the visitors, who had James Horwill sent off after 20 minutes on Friday. Horwill and number eight Jake Schatz scored early tries to give the Reds a 12-3 advantage but the game turned when the Australian lock was shown a red card for striking Paul Alo-Emile. The Rebels took advantage with lock Lopeti Timani, wing Tom English and scrumhalf Nic Stirzaker scoring tries as they picked up their third win of the campaign while ensuring the 2011 champions stayed bottom of the Australian Conference. A crippling injury list had been behind the Reds woeful start of five defeats in six games but with many starters returning in recent weeks, hopes had been high of a revival. They looked bright and focussed in the early exchanges before Horwill's indiscretion, the former Wallaby skipper's swinging arm connecting with the tighthead prop's head as he tried to clear Rebels players away from a ruck. 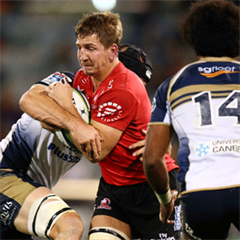 Horwill had already announced he was leaving to join English outfit Harlequins after the World Cup in October with Reds supporters also awakening to news that fellow Wallaby, scrumhalf Will Genia, will also depart to join Stade Francais in Paris. Genia's long time club and international halfback partner Quade Cooper had a poor game with the boot on Friday, missing two kickable penalties at the end of the first half after also fluffing a conversion as the teams went in level at 15-15.
Cooper then went off injured early in the second half but the Reds held firm in the wake of increasing Rebels pressure before Stirzaker crossed in the 66th minute after a strong run and pass by Sefanaia Naivalu. Code-hopper Karmichael Hunt came off the bench to make his first appearance for the Reds since a six-week ban for cocaine possession but he was ineffectual in the final 13 minutes as Mike Harris kicked a late penalty to deny the Queenslanders a losing bonus point.